The battle for civil rights was not won in the '60s, certainly not in many parts of the country. It never touched Oxford, North Carolina, where young Tim Tyson was growing up. In 1970, when a black man was killed in the town square by a Klansman and his sons, and an all-white jury acquitted the murderers, both blacks and whites were swept into a firestorm. Amid the violence and fear that enveloped the town, Tim's father attempted to bring the two sides together, only to be reviled as a traitor to both. 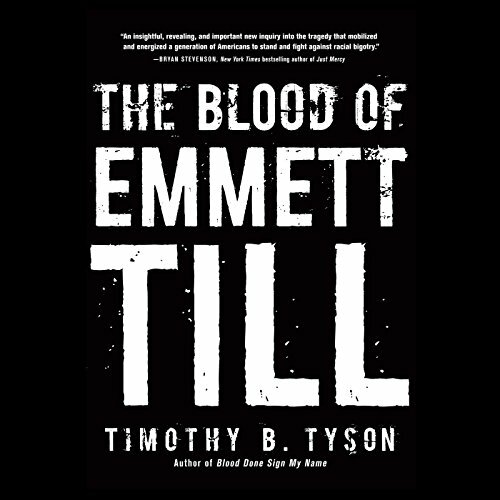 Emmett Till offers the first truly comprehensive account of the 1955 murder and its aftermath. It tells the story of Emmett Till, the 14-year-old African American boy from Chicago brutally lynched for a harmless flirtation at a country store in the Mississippi Delta. His death and the acquittal of his killers by an all-white jury set off a firestorm of protests that reverberated all over the world and spurred on the civil rights movement. Tim O'Brien gave us this intensely personal account of his year as a foot soldier in Vietnam. 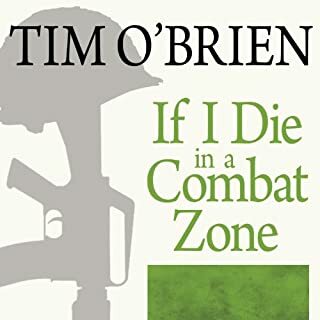 The author takes us with him to experience combat from behind an infantryman's rifle, to walk the minefields of My Lai, to crawl into the ghostly tunnels, and to explore the ambiguities of manhood and morality in a war gone terribly wrong. C. P. Ellis grew up in the poor white section of Durham, North Carolina, and as a young man joined the Ku Klux Klan. Ann Atwater, a single mother from the poor black part of town, quit her job as a household domestic to join the civil rights fight. During the 1960s, Atwater and Ellis met on opposite sides of the public school integration issue. Their encounters were charged with hatred and suspicion. 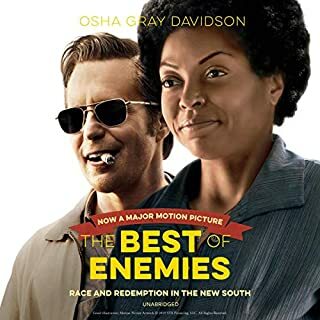 In an amazing set of transformations, however, each of them came to see how the other had been exploited by the South's rigid power structure. “Free the West Memphis Three!” - maybe you’ve heard the phrase, but do you know why their story is so alarming? Do you know the facts? The guilty verdicts handed out to three Arkansas teens in a horrific capital murder case were popular in their home state - even upheld on appeal. But after two HBO documentaries called attention to the witch-hunt atmosphere at the trials, artists and other supporters raised concerns about the accompanying lack of evidence. An acclaimed chronicler of the Civil Rights Movement, Peniel Joseph presents this sweeping overview of a key component of the struggle for racial equality: the Black Power movement. This is the story of the men and women who sacrificed so much to begin a more vocal and radical push for social change in the 1960s and 1970s. Mississippi, 1955: 14-year-old Emmett Till was murdered by a white mob after making flirtatious remarks to a white woman, Carolyn Bryant. Till's attackers were never convicted, but his lynching became one of the most notorious hate crimes in American history. It launched protests across the country, helped the NAACP gain thousands of members, and inspired famous activists like Rosa Parks to stand up and fight for equal rights for the first time. 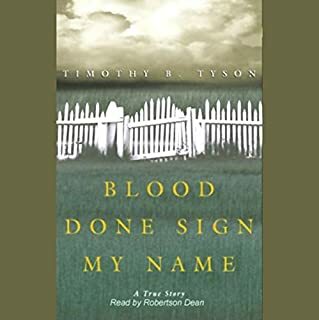 Part detective story, part political history, Tyson revises the history of the Till case using a wide range of new sources, including the only interview ever given by Carolyn Bryant. In a time where discussions of race are once again coming to the fore, Tyson redefines this crucial moment in civil rights history. In 1955 an all-white male jury found the two white defendants not guilty of killing a black boy even though they had confessed to the crime. This is one of the worst incidents of “Southern Justice” in our nation’s history. The victim was a fourteen-year-old black boy from Chicago who was visiting a relative in Mississippi. The boy who had polio when younger was accused of provoking a white woman, Carolyn Bryant, with a wolf whistle and flirtation. Her husband, Roy Brant and her half -brother, J. W. Milan, then beat-up and lynched the boy. Many books have been written about this case. What sets Tyson’s book apart is the broad view he used to examine the lynching. Tyson does an excellent job with the courtroom scenes. The book is well written and meticulously researched. Tyson examined the records including the trial transcripts and interviews of most of the people involved, including a rare interview with the late Carolyn Bryant. Apparently, Carolyn Bryant wrote her memoir. The manuscript and related papers have been sealed until 2038. The author delves into the social and economic forces that drove Roy Bryant and J. W. Milan to kill Till. Tyson then ties up the case to include the ongoing problems of inequality of justice for blacks today. Tyson is a historian at Duke University so the book is more academic than many books written on the subject. The book is just over eight and a half hours long. 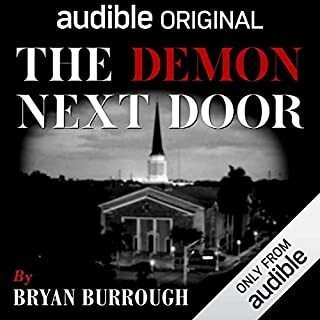 Rhett S. Price does a good job narrating the book. Price is an actor and audiobook narrator. Tough read. Rest in Peace Emmit. We are so sorry! I can't imagine being related to the devil. These flesh eating demons still exist today. This book told quite a bit, but I am not sure if it really served to reveal truth or threaten black families today. I almost didn't finish it because of the venom in each paragraph. We as a race have endured too much, we have had to be too understanding. Our will to survive is unmatched. God bless us all. Hold on to God's unchanging hand, put your trust in him because some of us have been to hell already and are on assignment with specific orders to eliminate Black people. The weapon has been formed, but it will not prosper. Thank you Jesus! The text conveys the place and space, the historic context are all solidly portrayed to reveal how Emmett Till was brutally murdered in Money, MS by 2 men who, correctly as it turned out, fully expected their white superiority would never hold them accountable. 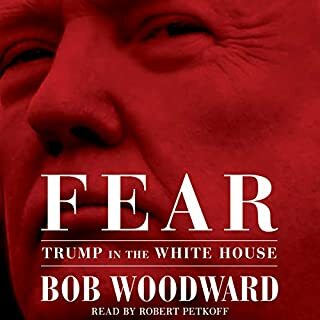 It is a 1955 story that reveals much of the ugly American underbelly which, appallingly, continues to exist today on our streets, in our courtrooms, in our schools, our voting districts, our halls of government, and all across the USA whether North, South, East, and West. Here, we see, in the bloody torture and murder of a 14 year old child, all our continued choice of ignorance over action, and all our Shame. This book gives alot of history of how civil rights started and how things are today. This book is gut wrenching and melancholy. This book is wonderful and it must be studied and lectured at all college campuses. This book gave me everything I wanted to know about each and every character in this book and gave the me the understanding of what misogynistic White Supremacy looks like....even through the eyes of Mrs Bryant and Mrs Till. An excellent in-depth explanation of the life and tragic death of Emmett Till and why his brutal murder still continues to impact our world today. An amazing, truth-telling of the civil-rights history in America... I learned a lot of sad truths. 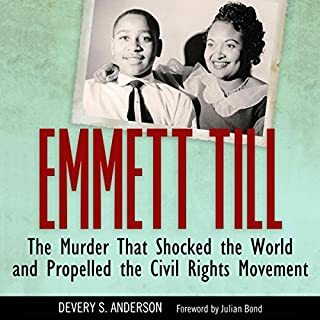 The book contains a rather lengthy discussion of race relations in Mississippi generally around the time of Emmett Till's murder. I thought I knew everything about his death but I learned so much by reading this book. Great history lesson on the South. A very important & sad bit of history. Narrator mispronounced Mamie. It is pronounced May-me.